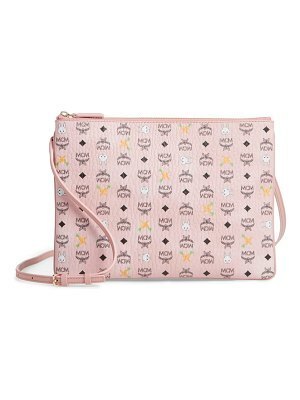 The signature Visetos print gets a bold-colored diamond update on this slim zip pouch you can carry as a clutch or style as a crossbody with the optional strap. A full-size exterior slip pocket makes a perfect place to stash oft-used items. 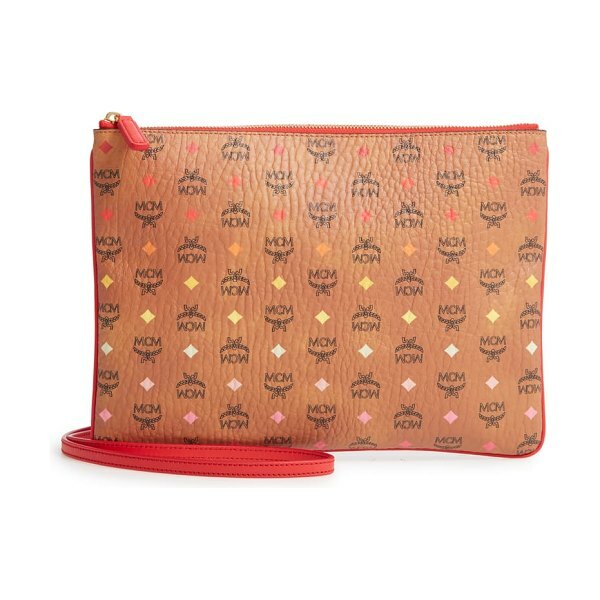 Style Name: Mcm Visetos Skyoptic Coated Canvas Pouch. Style Number: 5801435. Available in stores.